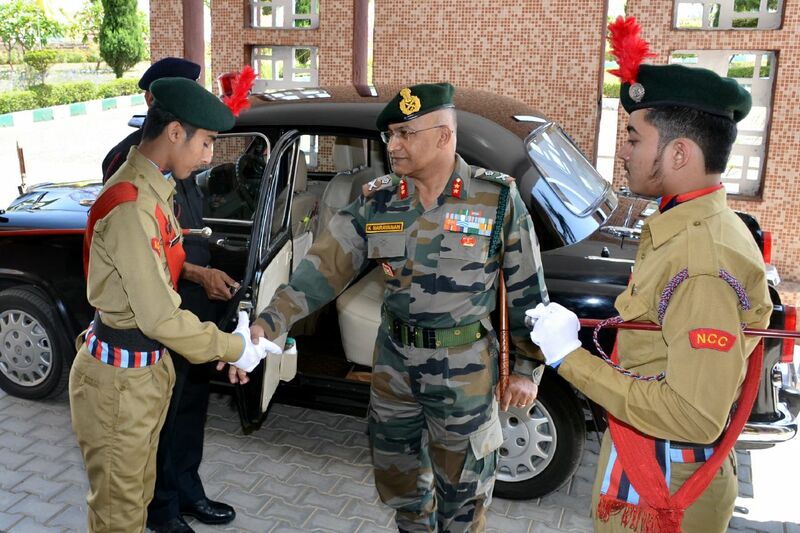 Army Welfare Education Society (AWES), Adjutant General's Branch, Army Headquarters is augmenting Educational Technical and Vocational Training Facilities at Military Stations to meet the need of children of Army personnel including Ex-servicemen. This is being done through the medium of chain of Army Schools and Technical/ Vocational Training Institutes. One such Army School came into existence at Mamun Military Station on 01 August 1991 with classes 1 and 2 having total strength of 35 children. Army Public School MAMUN started functioning with three teachers and one messenger initially. Army Public School MAMUN functioned in Bungal pocket of the Military Station Mamun for one year and later shifted to its present location on 01 August 1992 and finally shifted to its permanent abode present location in october 2007. Since then the school has been growing steadily and at present it is a Senior Secondary School with all two streams vis-a-vis Science and Commerce and Humanities. School was upgraded to Secondary and Senior Secondary School in 1994-95 and 1995-96 respectively. It is affiliated to Central Board of Secondary Education (CBSE), New Delhi. The Vision and Mission of Army Public School Mamun is to provide a stimulating learning environment with a techonological orientation across the whole curriculum, which maximises individual potential and ensures students of all ability levels are well equipped to meet the challenges of education, work and life. The School strictly follows the curriculum and syllabi laid down by CBSE, New Delhi. School is following the textbooks published by NCERT,New Delhi supported by innovative curriculum as AWES policy on curriculum issued from time to time.